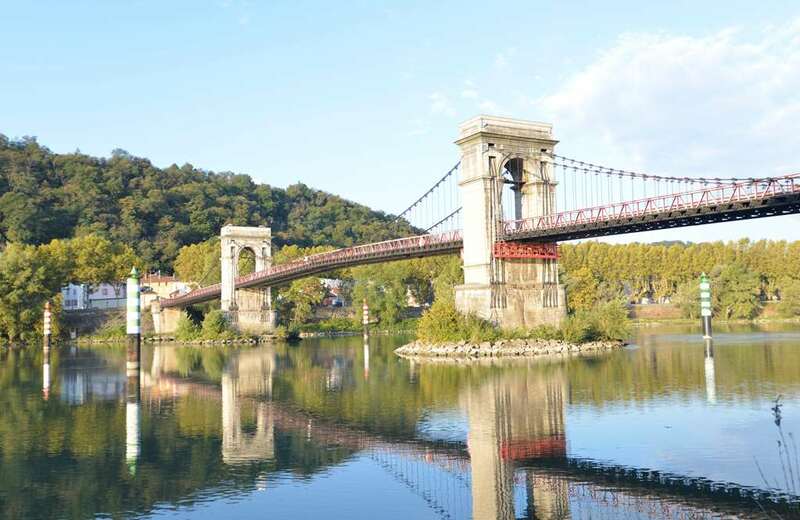 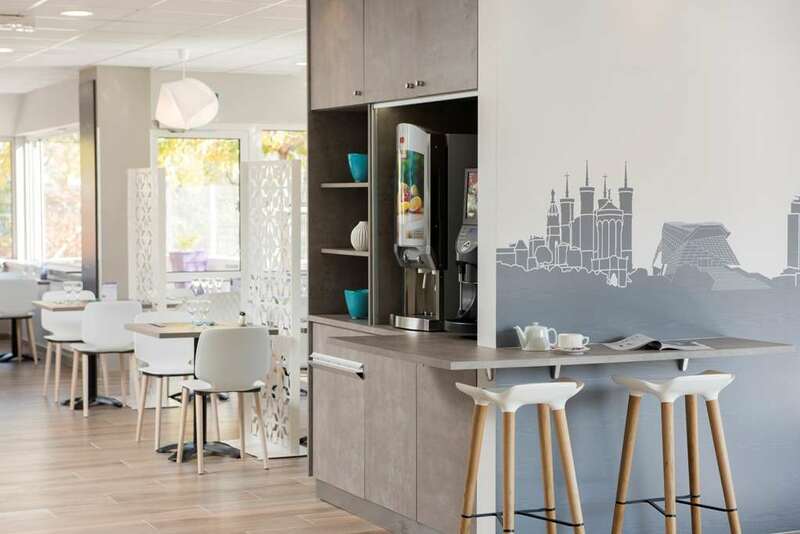 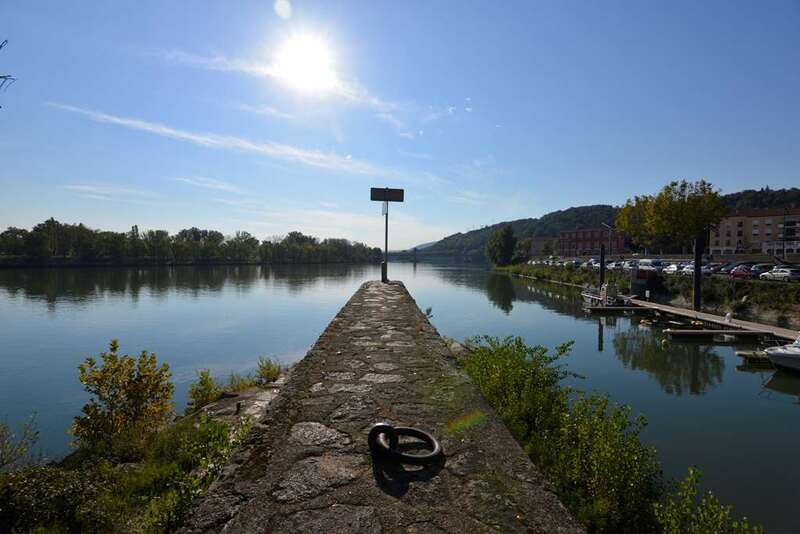 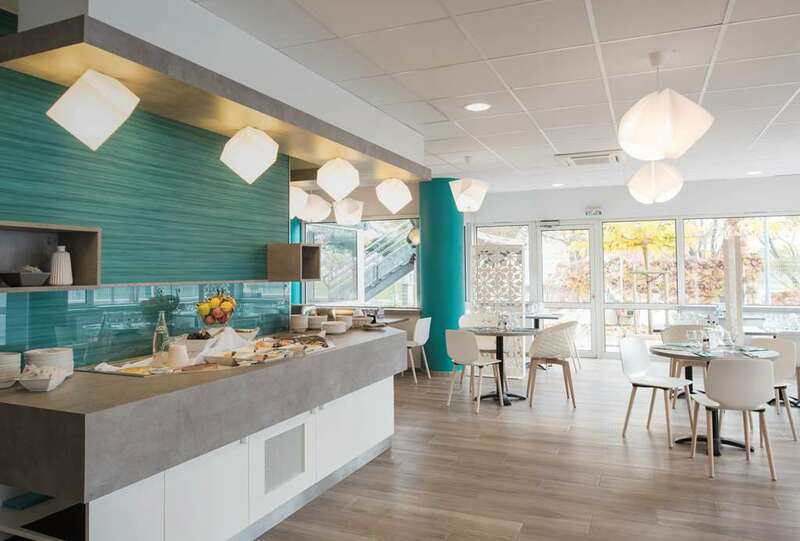 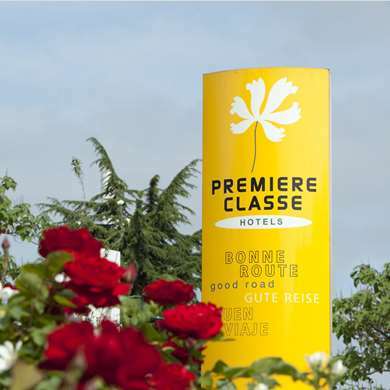 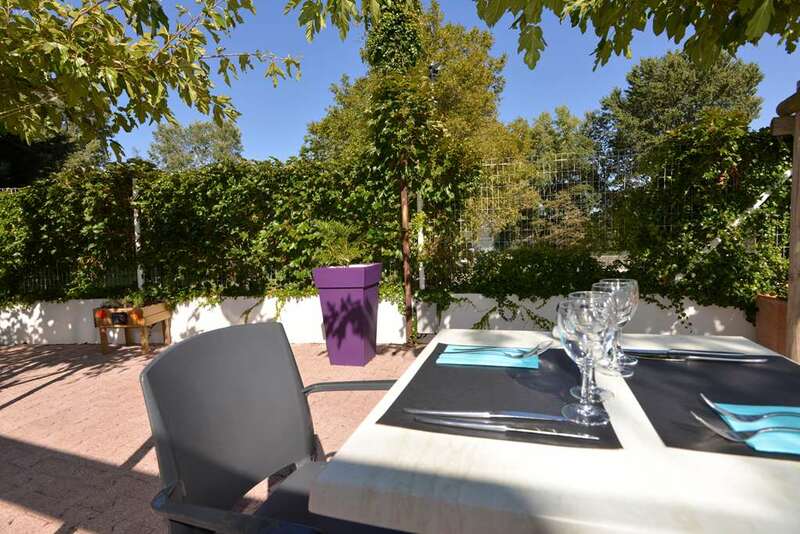 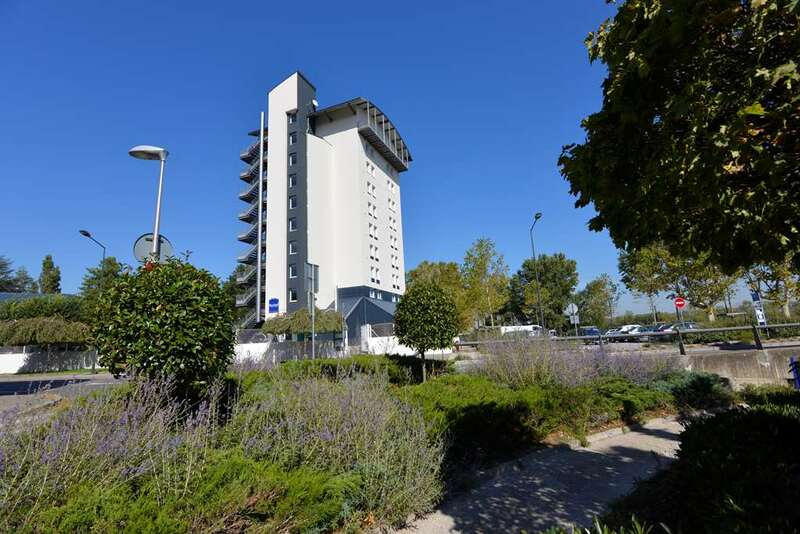 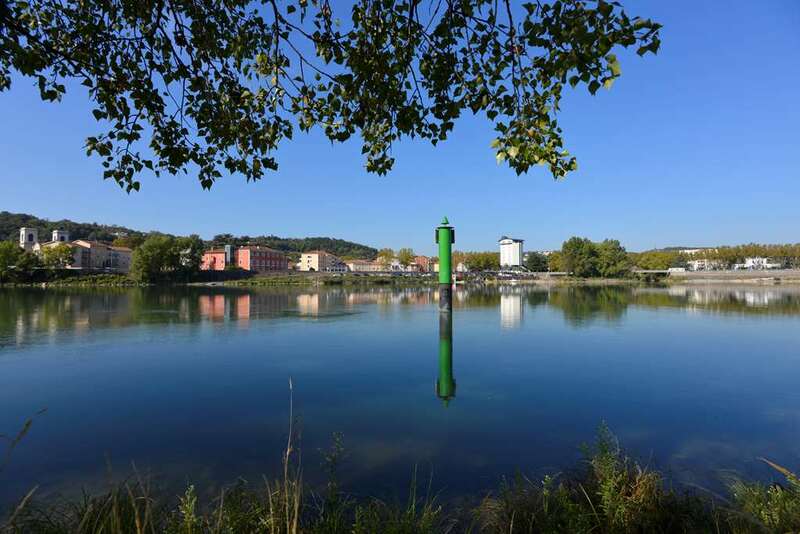 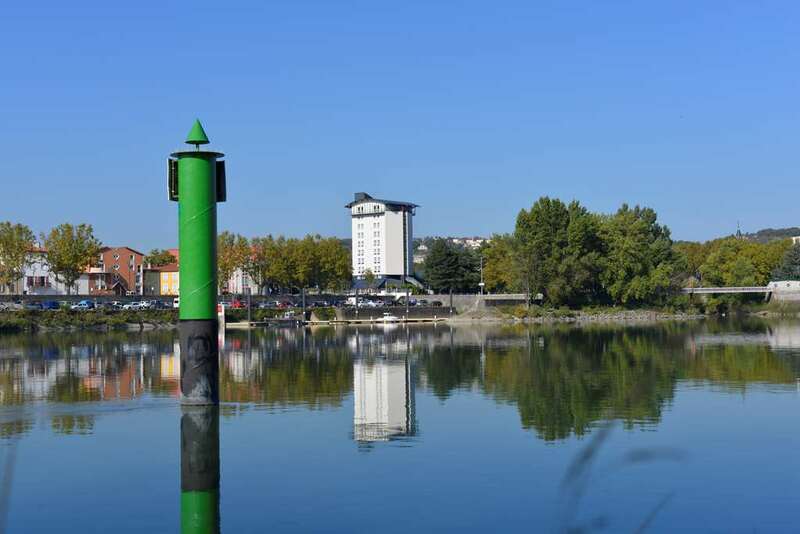 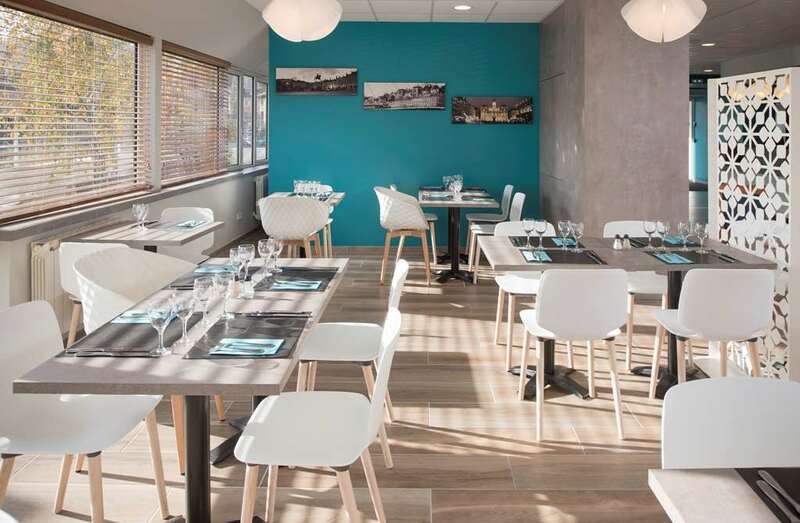 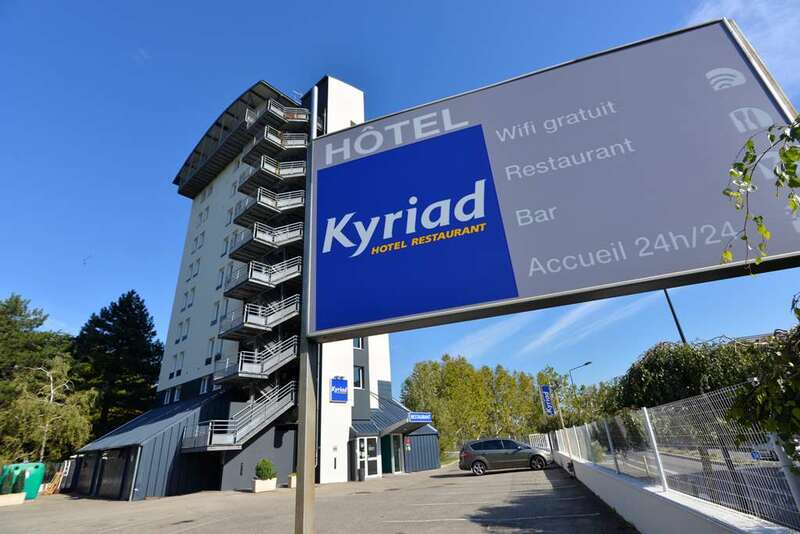 Hotel Kyriad Lyon Sud - Givorsis ideally located at the southern outskirts of Lyon, near the junction of highways A7, A46 and A47, and benefits from the pleasant quiet atmosphere found on the banks of the Rhône River. 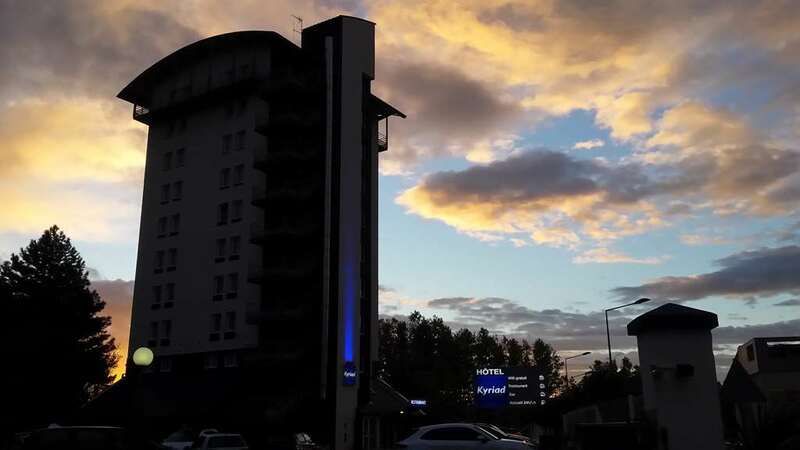 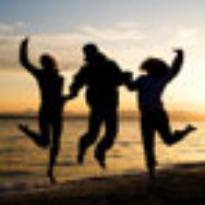 Our 3-star hotel has 68 rooms and is a great place to stop for your business stopovers or tourist travel. 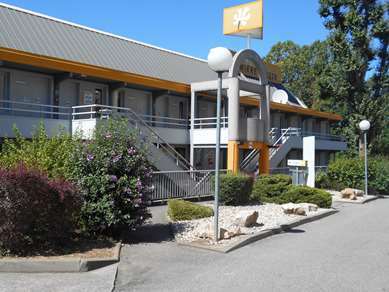 Easily accessible, whether you're coming by train or by plane our Hotel Kyriad Lyon Sud - Givors is only 25 minutes from Saint Exupéry Airport, and the Lyon Part-Dieu TGB train station and the Perrache train station with direct correspondence to the Givors-Ville train station, about a quarter mile from the hotel. 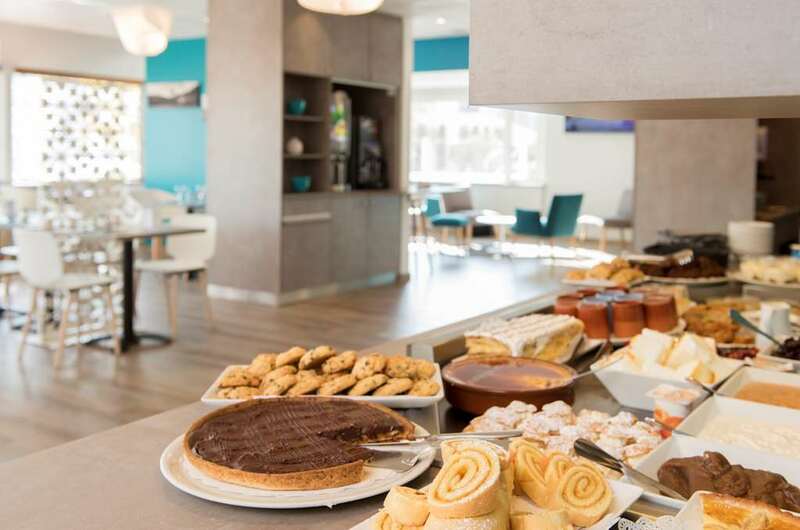 This is also the ideal welcoming environment for your meetings with 5 rooms to cover your needs for training or meetings that can accommodate up to 100 people. 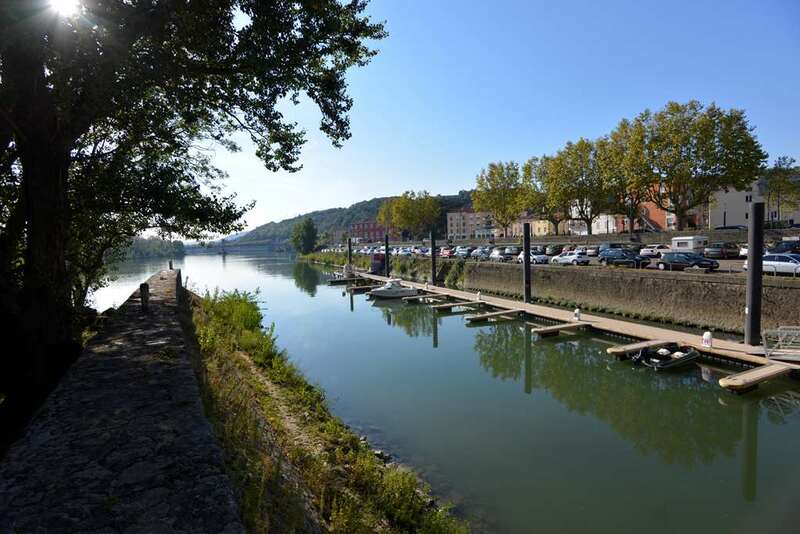 You can discover the traditional cuisine of our region at our hotel restaurant and terrace on the side of the River. 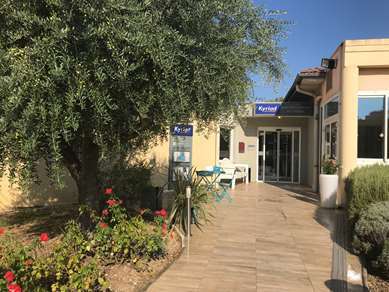 Our parking lot at Hotel Kyriad Lyon Sud - Givors is private and closed, guarded and free. 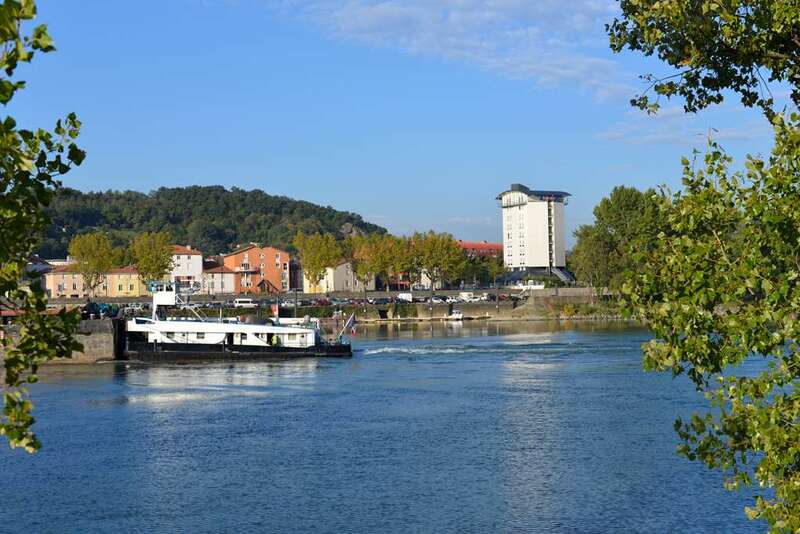 For your leisure and relaxation you can visit Roman Vienne and Saint-Romain-en-Gall, take advanatge of the Jazz Festival ambiance in Vienne during the summer season, followed by the Fêtes des Templiers. 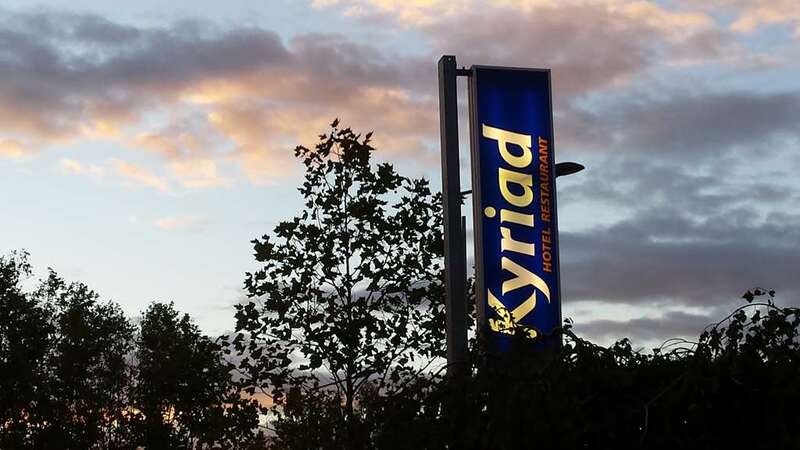 The City of Lyon is a UNESCO World Heritage Site, the Design and Dance biennials and the Festival of Lights will give you plenty of reasons to stay at Hotel Kyriad Lyon Sud - Givors. 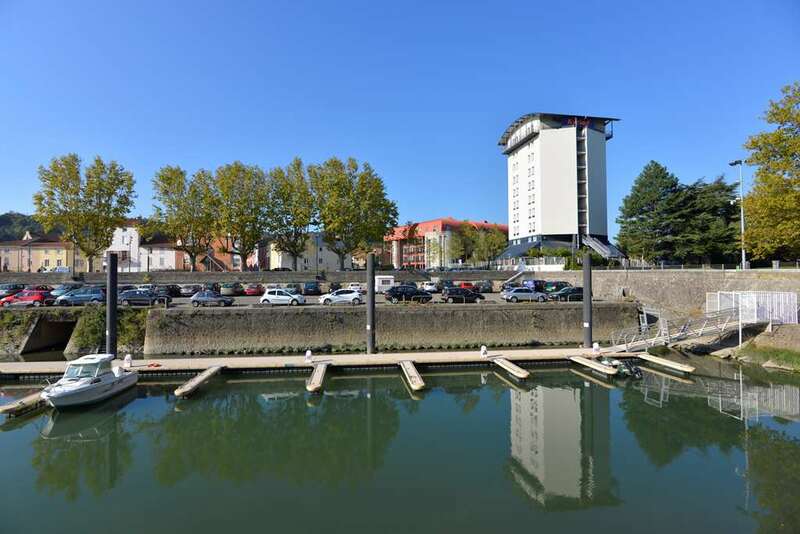 In Givors itself, you will find the architectural site of La Cité des etoiles by Renaudie in connection with the Firminy site by Le Corbusier. 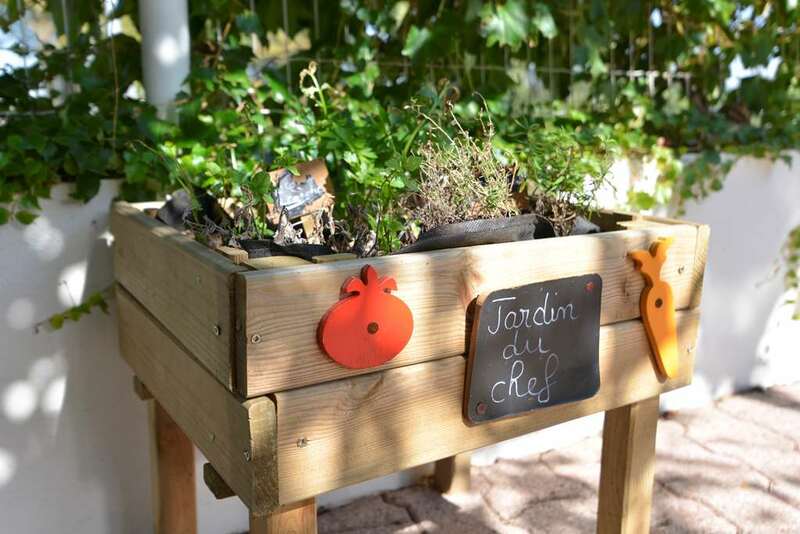  And the Saint-Martin-la-Plaine gorilla zoo will delight the children. 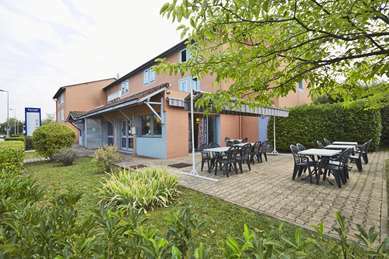 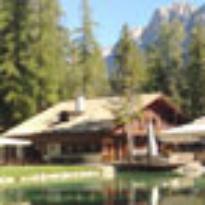 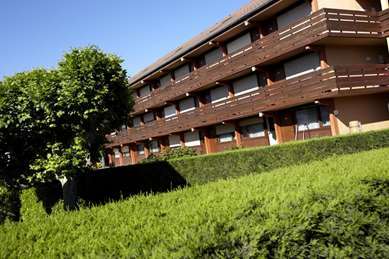 Hotel Kyriad Lyon Sud - Givors is a 3-star establishment that is designed for serenity. 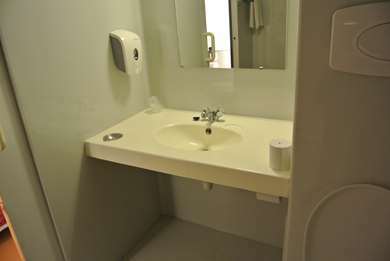 Our 68 air conditioned rooms all come with a real bathroom with shower, toilet and hair dryer. 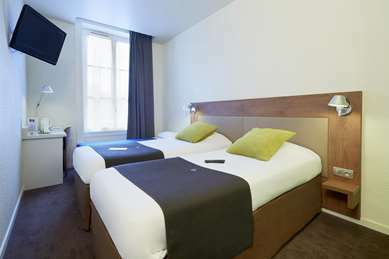 We have double rooms, with 2 single beds or triple rooms, including 3 rooms specially adapted for people with reduced mobility. 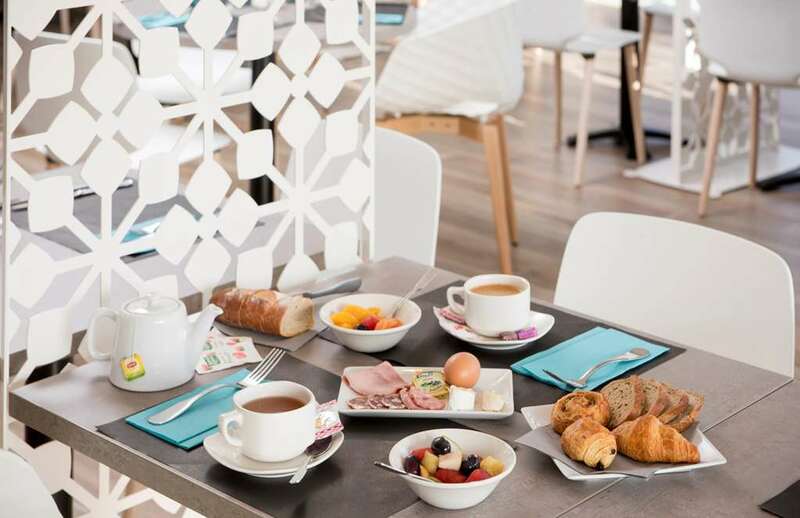 You will be able to relax with our courtesy tray that is set up with coffee, tea and cookies, while watching Canal+, CanalSat and TNT channels on your flat-screen TV. 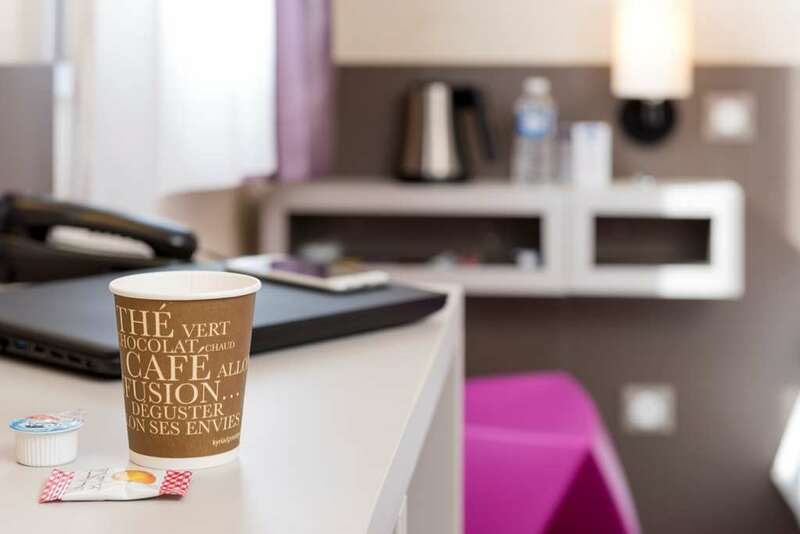 You can get your work done with ease on a large desk, equipped with a direct telephone line and free unlimited Wi-Fi access. 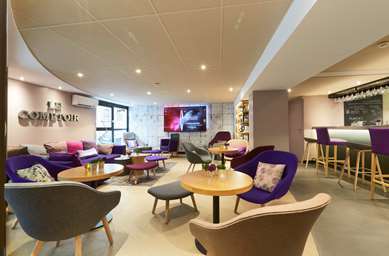 For your greatest comfort and convenience, all our rooms will be renovated starting on April 17, 2017. 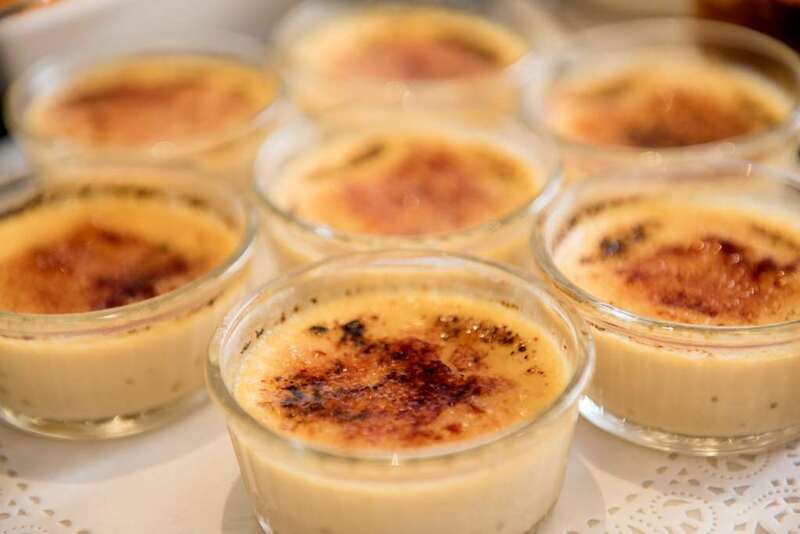 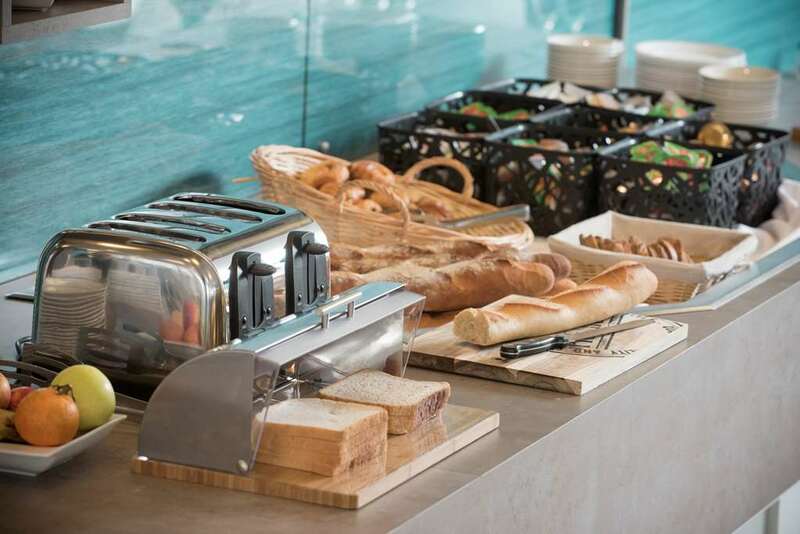 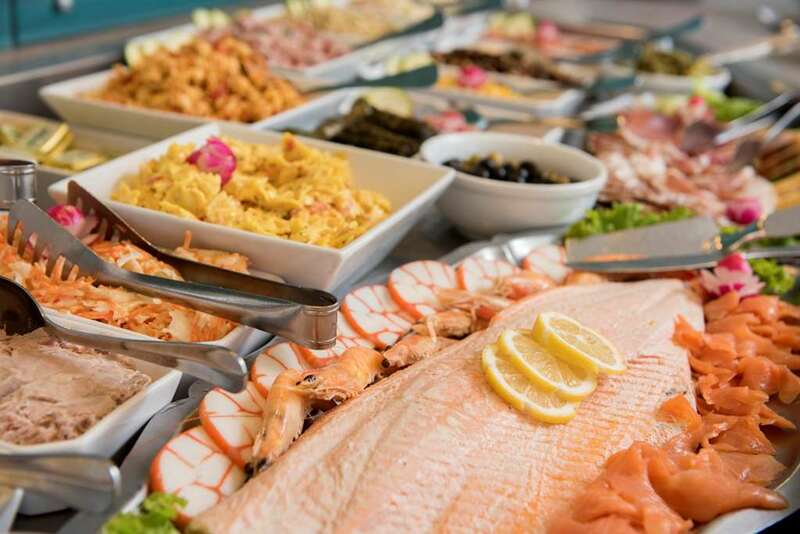 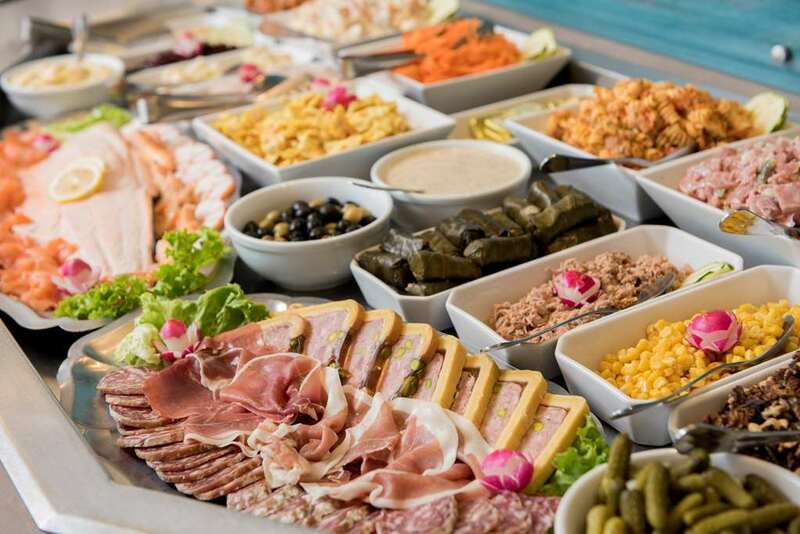 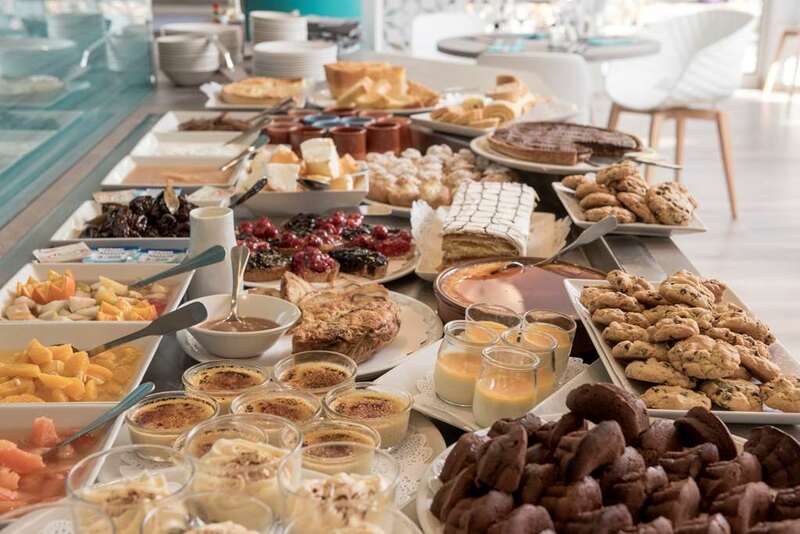 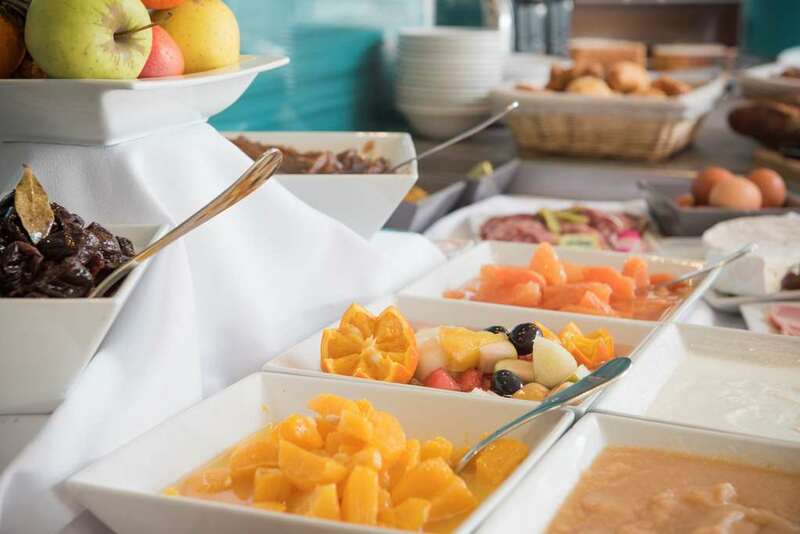 Hotel Kyriad Lyon Sud - Givors offers a very complete breakfast buffet formula so you can make your own breakfast full of flavor and vitality. 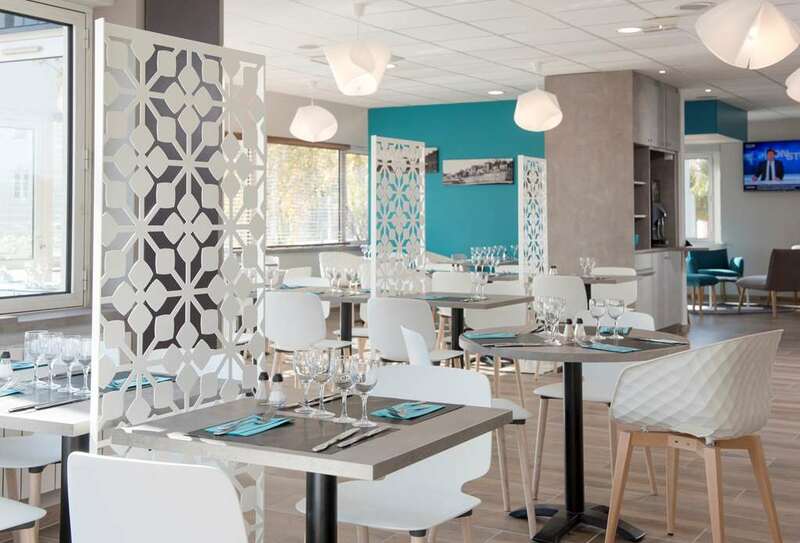 Our restaurant at Hotel Kyriad Lyon Sud - Givors invites you to discover, high quality traditional cuisine prepared on-site by our chef. 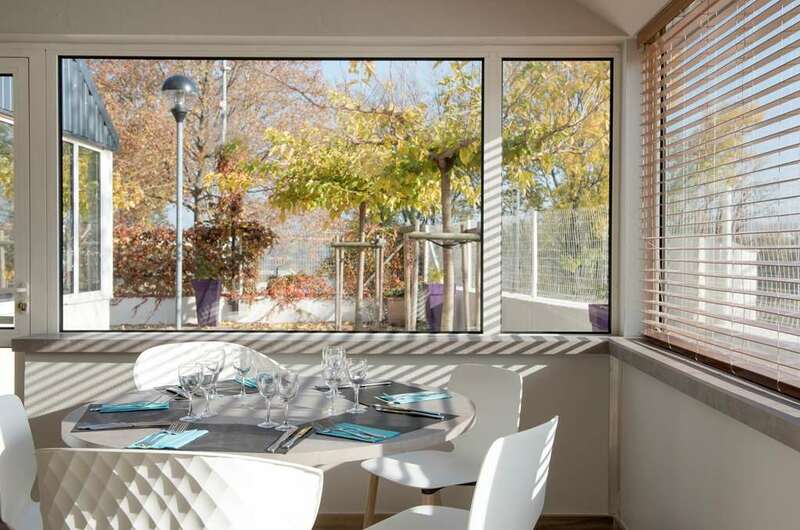 The restaurant opens on to a terrace on the banks of the Rhône River and will delight you with its menu that changes with the seasons. 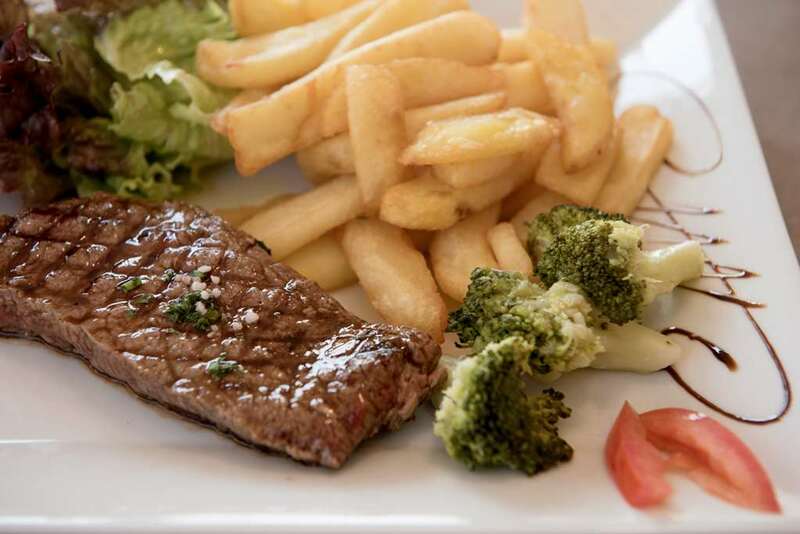 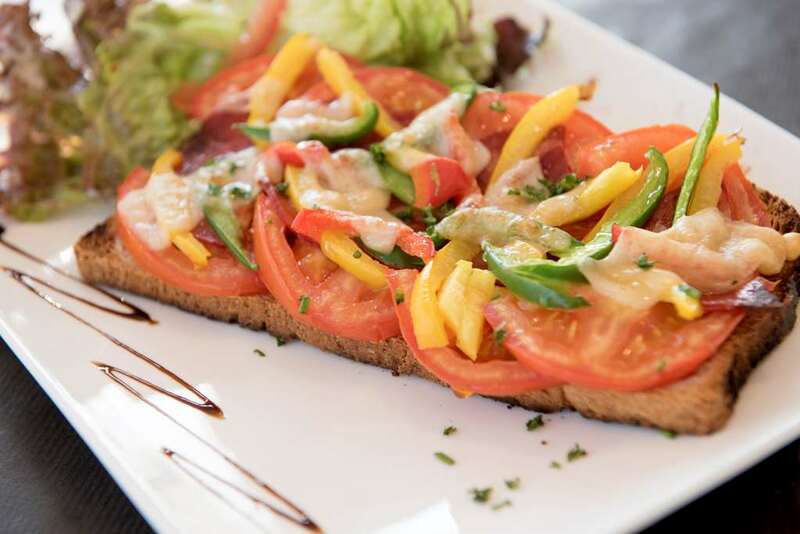 For lunch or dinner our restaurant is open from Sunday evening to Friday evening form noon to 2:00 pm and from 7:00 pm to 10:00 pm. 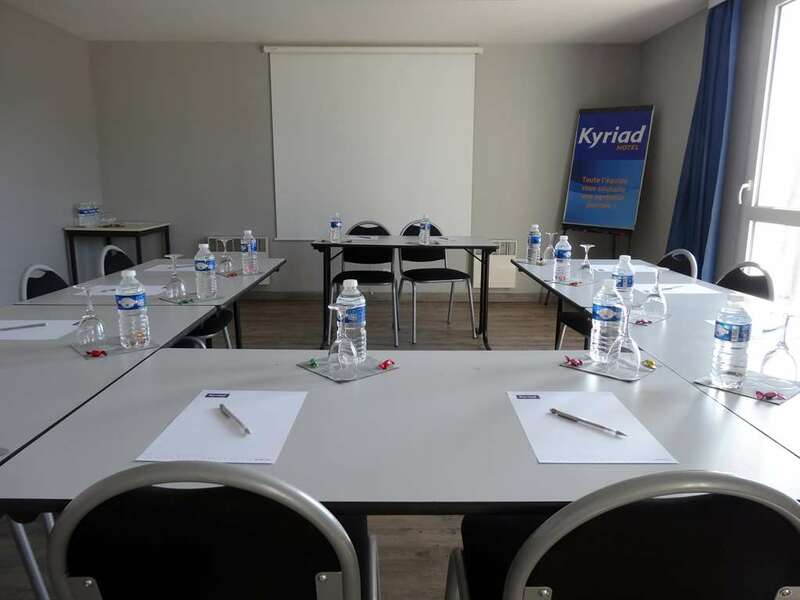 Hotel Kyriad Lyon Sud - Givors has 5 meeting rooms measuring 322 sq. 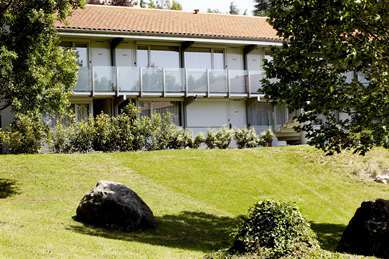 ft. to 2,152 sq. 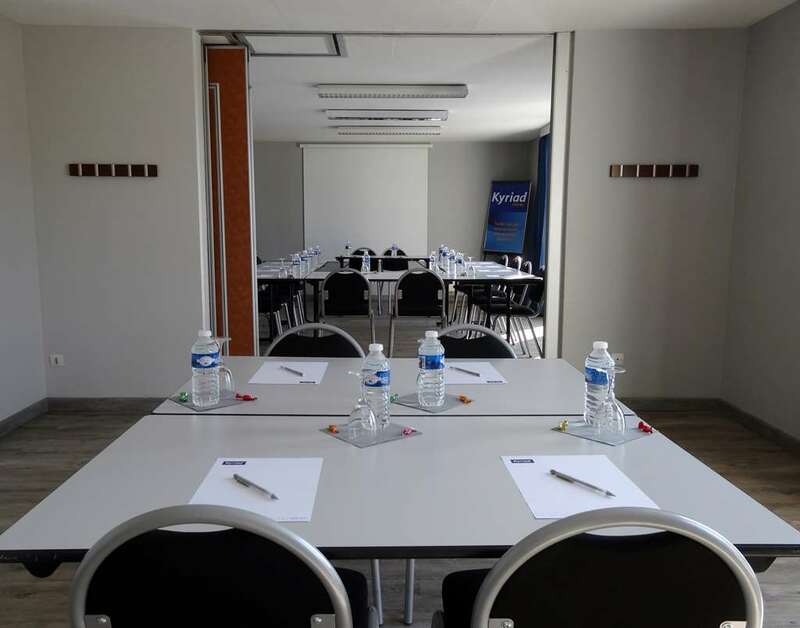 ft. that can accommodate from 2 to 100 people, for your interviews, training sessions, symposiums and cocktail parties. 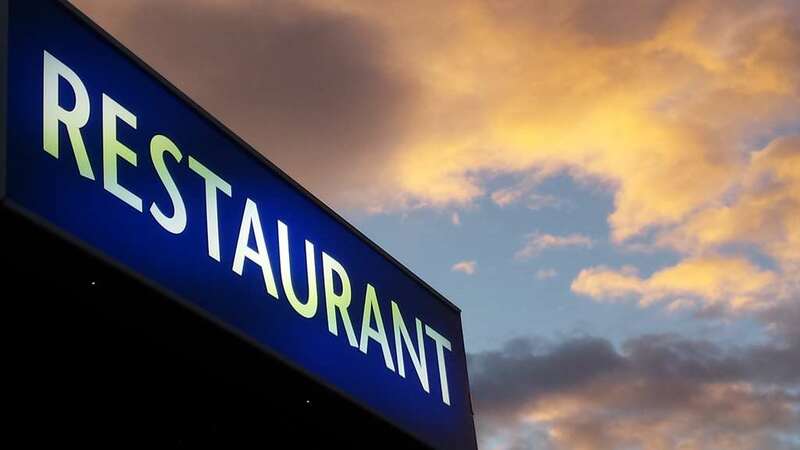 "Very good for a stop-over"